JH Hire Scaffolding Ltd, a family run business, was established in 1994 with the help of Bristol and Avon Enterprise Agency (BRAVE), at which time our primary business was to erect, dismantle and hire Rubbish Chutes to the scaffolding and construction trade. To meet customer needs the company soon diversified and has continued to grow steadily and expand its services to include Access scaffolds, Lifting facilities, Birdcage Scaffolds, Scaffold towers, Aluminum Mobile Towers, Pavement Gantry Scaffolds, Structural shoring support, Temporary roof structures, Stair Case Systems, Lift Shaft Systems, Scaffold sheeting, Rubbish Chutes, Debris Netting, System scaffolding. 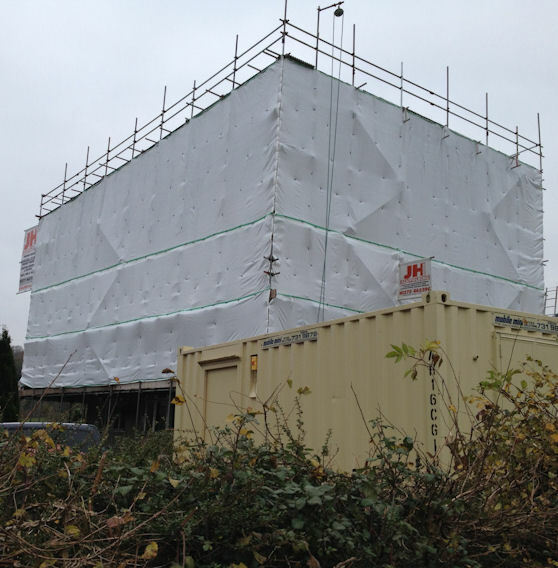 With the importance of Health & Safety being brought to the forefront of the construction industry Scaffold Sheeting and Safety Netting were integrated into our services and have been important additions to our stock in more recent years. The provision of Scaffolding and Aluminium Towers for repair and maintenance of residential properties is now 50% of our business and we pride ourselves on focusing on understand our customers' requirements, building trust and ensuring the service received exceeds that expected. Here at JH Hire we have worked closely with the Construction Industry and Business Link to undergo a Business Development Programme which has enabled us to achieve a commitment to Investors in People accreditation and to ensure we are fully compliant with the Construction Industry Standards and Health & Safety. The directors and employees of JH Hire continue to support the company as it grows from strength to strength, whilst focusing on achieving our Aims of providing Reliability, Service and Support to our customers and staff alike.